Jason Gillespie called for a ruthless display from Yorkshire if they were to turn a strong position at the halfway stage of this match into a potentially victorious one. The players heeded the words of the first-team coach, whose hopes of saying farewell with a hat-trick of titles were boosted by a dominant performance on day three at Leeds. After Durham had taken their overnight total of 205-4 to 227-4, they lost their last six wickets for 38 runs to the second new ball as Jack Brooks finished with 4-76. Adam Lyth hit 114 not out and Alex Lees 88 before Yorkshire declared their second innings at 225-2, Durham reaching 39-3 in the 16 overs before stumps having been set 421 to win. Lyth reached 1,000 Championship runs for the summer when he brought up his hundred with a six over mid-wicket off the spinner Ryan Pringle into the East Stand. 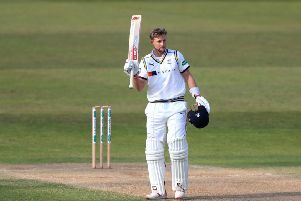 Lees, who reached 1,000 during his first innings 132, also batted superbly and narrowly failed to become the first man to score two hundreds in a first-class match at Headingley. When you think of all the greats who have played at the ground, the likes of Geoff Boycott, Len Hutton and even Don Bradman, it makes that statistic even more staggering. First-class cricket has been played at Headingley since 1890, when the Whitechapel Murders were at their height, and yet the wait for twin hundreds goes on. None of which will concern Yorkshire as they seek a win that, if combined with victory today for Notts, who have leaders Middlesex 48-3 in pursuit of 235, would send the champions 15 points clear with two games to play. “It was a great team performance,” said Lyth, whose four-figure return is a timely nudge to the England selectors. “The lads bowled fantastically well in the morning, and then me and Alex played fantastically well together and then we picked up three wickets at the end. “It was a great day for me personally, and it was nice to go on and get a big score. Although the sun beat down for most of the day, play began with the floodlights on and in light so poor that Lyth started proceedings with ball in hand in his role as part-time off-spinner. Jack Burnham pulled his first delivery to the mid-wicket boundary, and there was a fleeting rain delay before the dark clouds dispersed to be replaced by glorious blue skies. Burnham and Graham Clark played competently in the first 10 overs before the second new ball did the trick for Yorkshire, Brooks striking with his second delivery when he trapped Clark lbw. Durham then lost three wickets in 16 balls as Ryan Sidebottom bowled Burnham on the back foot before Brooks had Michael Richardson caught low down at second slip by Lyth and Pringle lbw trapped on the crease. 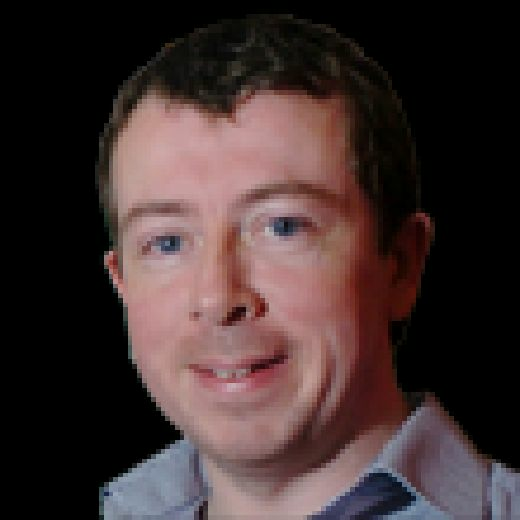 Graham Onions swatted Sidebottom for a straight six and then took him for successive fours in an isolated act of defiance, but after Bresnan had Barry McCarthy caught behind, Sidebottom exacted revenge by bowling Onions to end the innings 20 minutes before lunch. Despite a lead of 195, Andrew Gale opted against enforcing the follow-on, which made sense given that one of his pace bowlers, Steve Patterson, had been called away due to family reasons. Patterson returned later in the day and seemed to receive a louder cheer than usual when he came on to bowl. Prior to that, the old firm of Lyth and Lees dominated the afternoon as they chiselled out another century partnership. They ticked along at around four an over without taking risks, systematically grinding down the opposition. Lees’s departure, caught behind off Pringle, ended the stand at 185, and Gale declared 40 runs later when Ballance was bowled by the off-spinner. Lyth faced 143 balls and hit eight fours and two sixes, with director of cricket Martyn Moxon’s status as the last Yorkshire player to score two hundreds in a game on a Yorkshire ground remaining intact with Lees’s departure. For the record, Moxon scored 123 and 112 not out against the Indians at Scarborough 30 years ago, although the last Yorkshire player to score two centuries in a game was Ballance, against Surrey at The Oval in 2013. Brooks had ended the Durham first innings with 49 Championship wickets for the season, and 349 in first-class cricket. The milestone wicket followed in the fourth over of the Durham second innings when Mark Stoneman miscued an attempted pull to Gale at mid-off. Brooks struck again in his next over to have Keaton Jennings caught behind, and Durham slipped to 31-3 when Patterson had Burnham lbw. It was as good a day’s work as Yorkshire have produced all summer. Somerset beat Warwickshire to boost their hopes of a first County Championship title while leaders Middlesex struggled. Warwickshire resumed their second innings on 131-8 in a low-scoring match at Taunton, needing a further 53 for victory. The visitors battled for 14 overs before being bowled out for 152, with left-arm spinner Jack Leach taking the final wicket to finish with figures of 6-42 as Somerset briefly climbed to second in the table. Middlesex would have been fancied to roll over bottom side Nottinghamshire, but finished day three in trouble on 48-3 and needing another 187 runs for victory. Jake Ball, who took five wickets in the first innings, was Middlesex’s tormentor again with all three scalps after the hosts had been bowled out for 240. Hampshire improved their chances of avoiding relegation from Division One after a dominant third-day performance put them in a position to press for victory against Surrey. Sean Ervine made an unbeaten 158 and Ryan McLaren 100 to add to Tom Alsop’s 117 as they piled up 582-9 to establish a first-innings lead of 253. Surrey’s Dom Sibley and Rory Burns survived nine overs to take their side to 23-0.